Refresh and purify your skin with the Cleanest Rice Cleansing Oil from Korean skincare brand, Skin79, a mineral-rich facial cleanser that removes dirt and grime from the face without stripping away essential moisture. The lightweight cleansing oil performs a gentle but deep cleanse, expertly purifying pores whilst dissolving makeup, sebum and impurities to leave the complexion clean, bright and fresh. Rich in antioxidant Vitamin E and Fatty Acids, the cleanser contains Rice Bran to brighten and clarify the face. Skin is left feeling cleansed and protected. Non-greasy. Dispense 2-3 pumps onto hand. 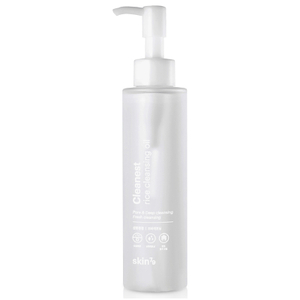 Massage into face, then wet hands and massage to transform cleanser into white emulsion. Gently rinse the face. Follow with toner and moisturiser.